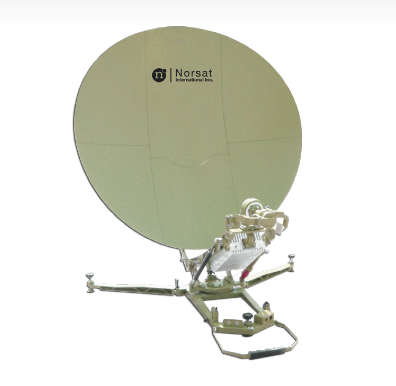 [SatNews] Norsat International Inc. (“Norsat”) (TSX: NII and OTC BB: NSATF), a leading provider of innovative communication solutions that enable the transmission of data, audio and video for remote and challenging applications, today announced the launch of the Journey Manpack 0.9m ultra-portable Ku-Band satellite terminal. The Journey Manpack is a 6-segment, carbon fibre portable terminal weighing less than 18 kilograms (40 pounds) including the backpack, making it ideal for military Special Forces and government applications that require maximum portability. 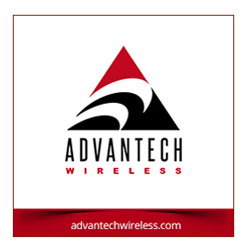 Setup takes less than 10 minutes allowing users with minimal training to quickly lock onto a satellite and transmit/receive. The Journey Manpack is optionally equipped with LinkControl software which simplifies the antenna alignment process with its alignment wizard, beacon detector and built-in spectrum analyzer. The high performance Journey Manpack terminal delivers Rx data rates up to 45Mbps, and Tx data rates up to 20 Mbps. Designed for low power consumption, the Journey runs on AC power or a 4/6 cell battery pack that provides more than 4 hours of continuous run time. Providing unmatched durability, the system is MIL-STD-810G compliant and has been built to operate in harsh and hostile environments. The Journey Manpack includes an integrated BUC, LNB and modem, providing a full solution in one case or backpack. Journey can also be customized with a variety of BUCs, LNBs and modems to meet varying customer requirements and budgets.